Sharon White, the head of UK telecoms regulator Ofcom, recently wrote a piece having a go at both Three and BT/EE for having the temerity to challenge its ruling on future spectrum auctions. In it, White maintained the stance Ofcom has always adopted regarding a potential challenge – that any delay will harm the UK’s competitiveness and be generally harmful to the country. 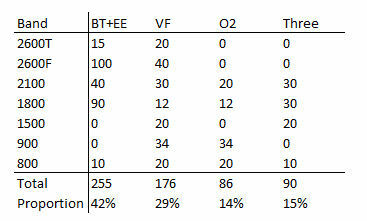 In so doing she seemed to focus more on BT/EE than three, even though it was the latter that initiated the challenge. The original Ofcom ruling effectively stated that BT/EE wouldn’t be able to acquire any of the 40 MHz of 2.3 GHz band on offer and its maximum share of the 150 MHz of 3.4 GHz band would be 85 MHz (see diagram). Both of those seemed fair enough and, at the time, BT/EE grudgingly accepted the ruling. Three’s challenge, however, probably forced BT/EE’s hand. If this matter was going to the courts then you can see why BT/EE at least wanted to make sure both sides of the argument were heard. In this respect alone Ofcom is arguably in a better position than if BT/EE has done nothing as the middle ground between the two will be approximately where Ofcom’s ruling is positioned. The “whole new set of grounds” were laid out by BT Consumer CEO Marc Allera at the time in a LinkedIn post. “We believe that the current structure proposed for the auction of early 5G bands – where small parts will be made available bit by bit across two to three auctions – will be detrimental to the launch and development of 5G networks in the UK,” he wrote. What he and his company would like instead is that a broad range of high frequency bands – 3.4-3.8 GHz – are all auctioned together, as well as some 700 MHz band. While it’s not obvious why all these auctions are being done on a piecemeal basis, it’s equally not clear cut that the current structure will necessarily be detrimental to 5G in the UK as Allera claims. 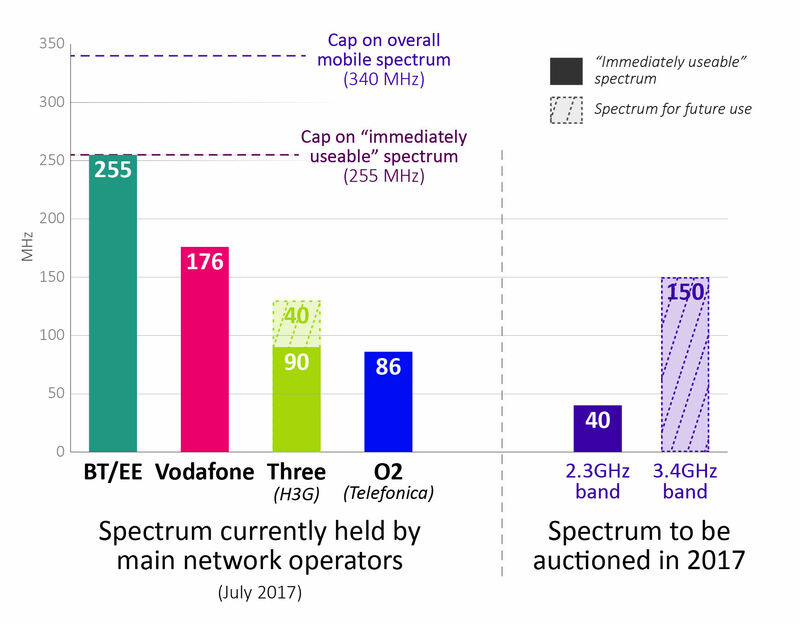 One thing that does seem clear, however, is that BT/EE must be pretty anxious about the 700 MHz auction, as it has a very weak portfolio of valuable low-frequency spectrum. So while this does seem to primarily be a defensive move by BT/EE, it’s also saying ‘two can play at the challenging game’ and making an early big to make sure it’s given a fair shot at the 700 MHz goodness. The reason we think Sharon White might be secretly happy this stuff is being pre-emptively challenged is that it can include such debate in the rationale for subsequent decisions and hopefully nip future challenges in the bud. Ofcom has to be seen to acknowledge the needs of all stakeholders in its decisions. It seems to have charted a middle course in the disputed one and is getting a head start on future consultations, while at the same time being able to blame any delays on commercial vested interests. What’s not to like? “the head of UK operator Ofcom” – operator? !